GrandDiva's Creative Corner: WooHoo!!! 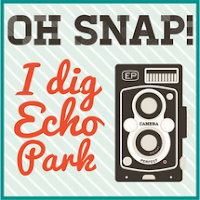 I am a WIINNER at Echo Park! CONGRATS ON YOUR BIG WIN. ALWAYS KNEW YOUR PAGES WERE GREAT. NOW YOU KNOW THEY ARE. YOU GO LADY!!! Congrats on your win at EP. Thanks for becoming a follower I am a new follower of your s to. Congrats on your win......You Rock!